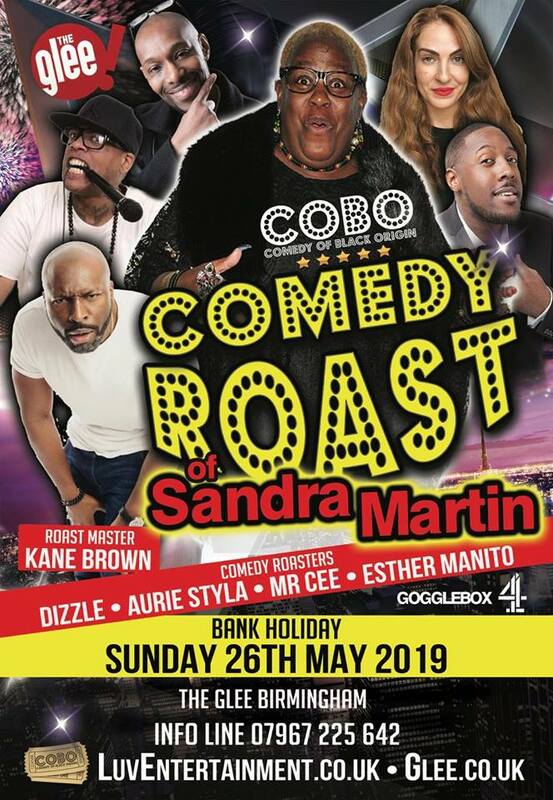 Sandra Martin (GoggleBox) is joked about and made fun of by the roasters (comedians) in front of our audience. The hilarious & sharp Kane Brown is the Roastmaster who is guaranteed to keep the room entertained. The roasters take turns doing jokes about the roastee, as well as the other comedians on the night. The Comedy Roast ends with the roastee getting the opportunity for a rebuttal against all of the insults hurled at her in the course of the evening. Get your tickets early this show will sell out!!! , a young entertainer from London, is known as a stand-up comedian, presenter and owner of the comedy brand Funny Heads Entertainment. Anyone who has seen him perform will remember his charisma, tongue-in-cheek banter and big smile! Cool, Charming & Conscious, Mr Cee is the 'Urbane Comedian' & one to watch out for on this 'Circus of Fun'. With fine-tuned topical gags from his work as a stand-in on the highly popular BBC TV show 'Mock The Week' & his improv skills on BBC's 'Fast & Loose,' Mr Cee's observational, comedic style and quick wit is guaranteed to make you laugh! Dizzle The Comedian was winner of the 'Best Male Newcomer' award at The Black Comedy Awards 2013 when he was a relatively new comedian from north London, since this time he burst onto the comedy scene with his energetic and bad boy style comedy & his crazy videos and blogs on social media. Since his first performance on 1st April 2012 Dizzle has gone from strength to strength, gaining popularity with his observational humour and topics.